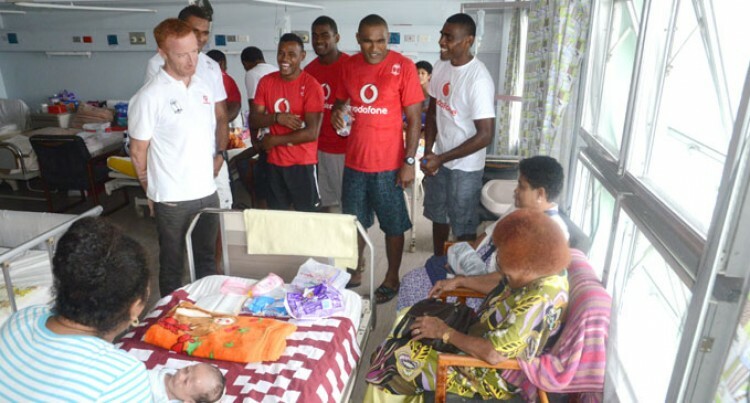 It was a new lease of life for children admitted at the Colonial War Memorial Hospital when they were visited by the Vodafone Fiji 7s training squad yesterday. Team co-manager Paula Biu said the visit was part of their community outreach programme. “For us it’s always good that we keep in touch with the general public, because they are the main supporters of the team, and also this is something that we want to give back to them,” Biu said. Coach Ben Ryan said the team can put a smile on everyone’s face. Ryan will name his 12-man squad for the next leg of the 2014/15 HSBC World Sevens Series on Friday.